Michele N. Keleher, MS, PT, has created a very special therapy office for people with chronic pain. She is trained in osteopathic soft tissue treatment techniques, which are tailored to meet individual patient-care needs. Primary use of CranioSacral(SM), Somato Emotional Release, Visceral Manipulation(SM), Muscle Energy, Energy Mirrors and Manual Lymph Drainage precedes more traditional approaches. Clients are those who have not responded well to traditional modalities. They are interested in obtaining full health and function without the side effects of medicines, including radiation and chemotherapy. Ms. Keleher�s patients present with diagnoses such as chronic fatigue, depression, fibromyalgia, musculoskeletal and immune system disorders, multiple sclerosis, cancer, lymphedema and various other problems with complex symptoms. She currently works with both adults and children. Childhood disorders include autism, ADHD, neuromuscular disorders and cerebral palsy. 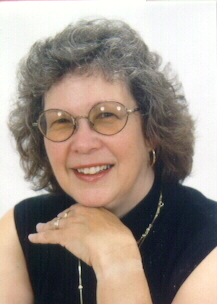 The use of energy medicine techniques allows Michele to address many issues that standard medical practice could not. Compression Dynamics, a division of Delmar PT, carries a complete line of compression garments from Medi-USA, Juzo, Beiersdorf-Jobst and Sigvaris. In addition, special night-time garments such as Reid� Sleeve, Circ-Aid and Legacy can be custom fitted. Ms. Keleher is a certified fitter for the major suppliers of custom and over the counter compression products including Elvarex�.